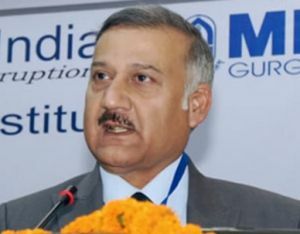 Senior IPS officer Anil Kumar Sinha was on Tuesday night appointed the new CBI Director to succeed Ranjit Sinha who retired in a glare of controversy with the Supreme Court directing him to recuse from 2G spectrum scam case probe. Sinha, a 1979 batch IPS officer of Bihar cadrde, was the Special Director in CBI. The Appointments Committee of the Cabinet, headed by Prime Minister Narendra Modi, cleared the name of Anil Kumar Sinha who was among the candidates shortlisted by the search committee earlier in the day. The term of Sinha will be for 2 years from the date he takes charge, an official notification said. Earlier in the day, Modi held discussions with the Chief Justice of India and leader of the main Opposition in Lok Sabha on selecting a new CBI head. The panel discussed the names of about 40 officers shortlisted by the Department of Personnel and Training, sources said. Ranjit Sinha retired on Tuesday after a tumultuous tenure of 2 years at the helm of affairs in CBI that ended on a controversial note. Sinha's tenure as CBI chief saw highs like busting of some big bribery cases involving a Railway Board member, Chairman and Managing Director of a public sector bank, Chief Executive Officer of Censor Board among others. The lows were mainly the criticism he faced from the Supreme Court which asked him to withdraw from 2G probe, criticism from a special court for shoddy probe in coal scam cases, sharing of status report in coal with the then Law Minister Ashwani Kumar after which the agency earned the sobriquet of "caged parrot" from the apex court.